February 16, 2014 in "Pastel pattern", "colour", "dog portraits", "pug drawing", "pug", "repeat pattern", "schnauzer drawing", "schnauzer"
Sun's out here and it's a welcome relief. Hope it's been brighter where you are. 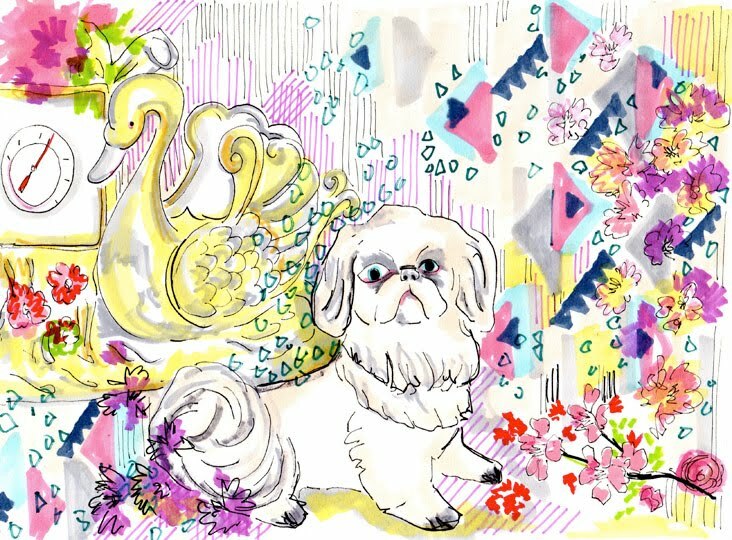 Here's a Pug and Schnauzer Pastel Pattern for you this Sunday.